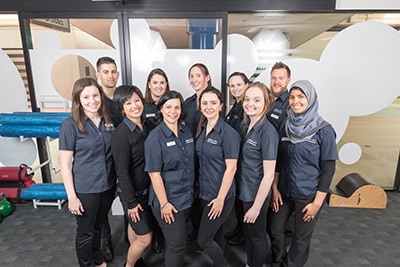 Central City Chiropractic opened in 1998 to provide the Perth CBD area with natural, highly effective chiropractic care. You can find a range of health services available in the City Health Professionals facility. We’re pleased to serve many FIFO workers, office professionals and those residing in the neighbourhood with a new avenue to healing. You’ll find that we’re conveniently located, so you can stop by before work, on a break or while you’re on your way home. It’s our priority to understand how your pain is holding you back and affecting your life. Whether you want to be able to play on the floor with your children, get back to the sport you love or wake up without discomfort, we’ll focus on achieving your desired outcomes. If you’ve had chronic pain for years and have sought out different avenues of treatment without success, we hope to offer you a new solution. Our goal is to get you results and help you maintain your improvements. If needed, we can refer you out for X-rays or other imaging to gain a comprehensive understanding of your level of health. When needed, we’ll be happy to send you to the other practitioners who work at our facility. Contact us today to learn more about what we may be able to do for you!